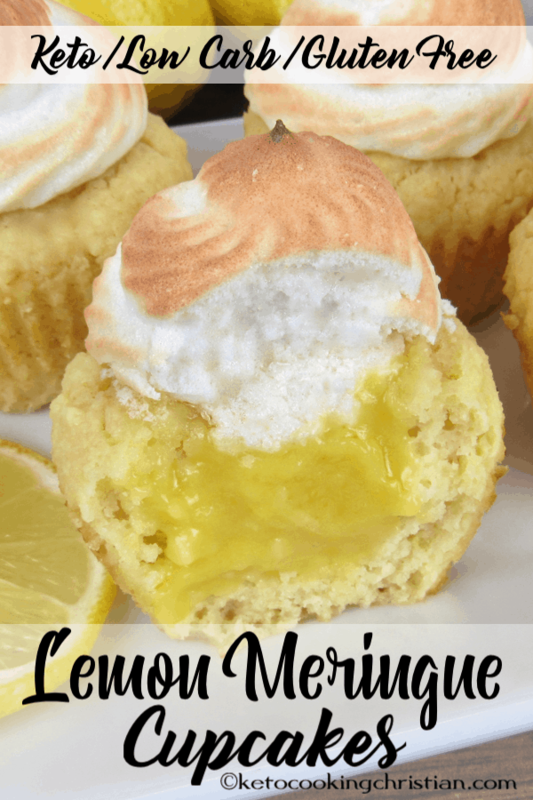 A fun twist on a lemon meringue pie, with a light and fluffy meringue that tops cupcakes filled with homemade lemon curd! 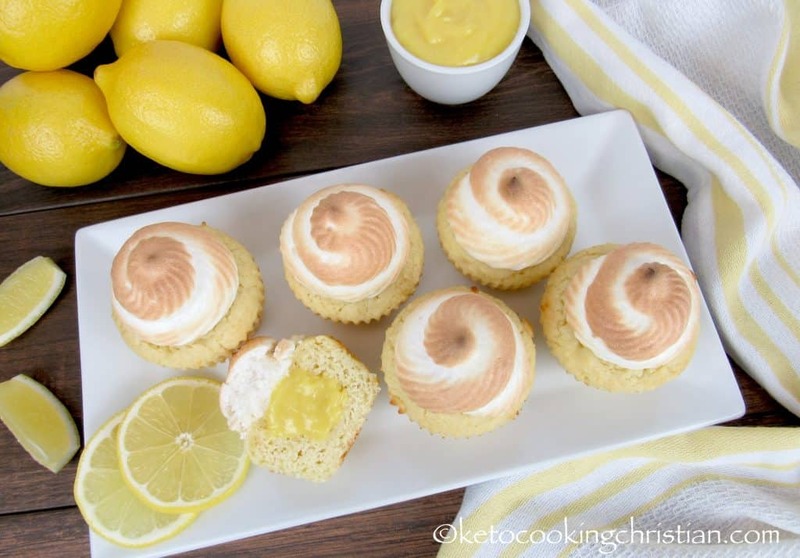 These lemon meringue cupcakes are just as delicious as they look! 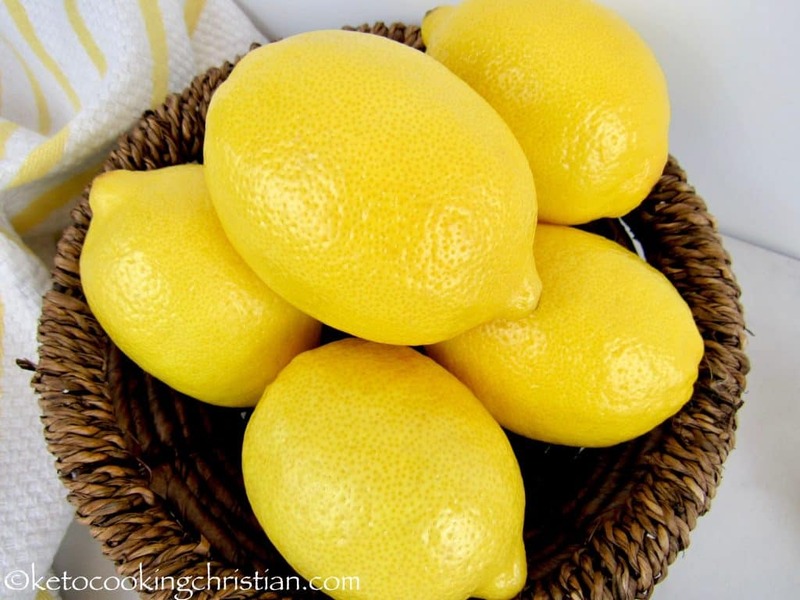 I love all things lemon, I use it in my drinks, desserts and even savory dishes. My mother is visiting from out of state and one thing I used to make for her was lemon meringue pie. 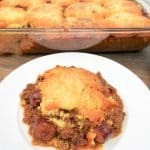 I wrote this recipe to make for her (she’s also on Keto and loving it) as a new twist on my traditional pie. Look at these gorgeous lemons I found at my grocery store! 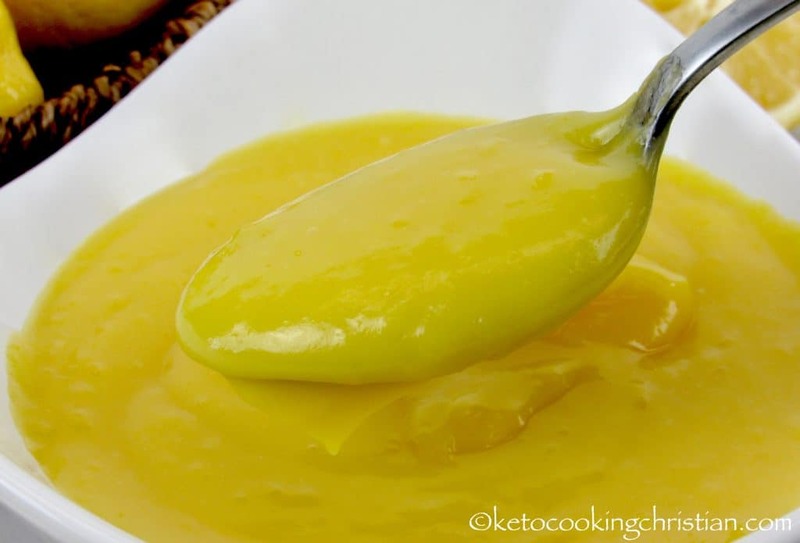 This was the inspiration for my 5 Minute Microwave Lemon Curd. I saw them and just had to make something fabulous with them! 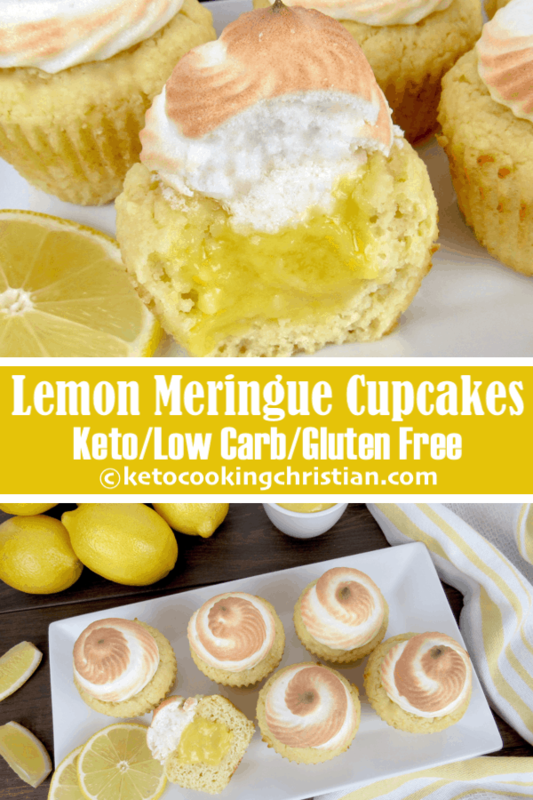 These are so fun and easy to make, and they are filled with my 5 Minute Microwave Lemon Curd, but if you’d rather use lemon curd make on the stovetop, you can use my recipe for Lemon Curd found here. 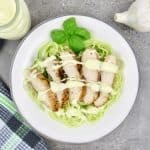 They both taste amazing, but for this recipe, I prefer the 5 minute method to save on time. Separate the eggs, and set yolks aside. 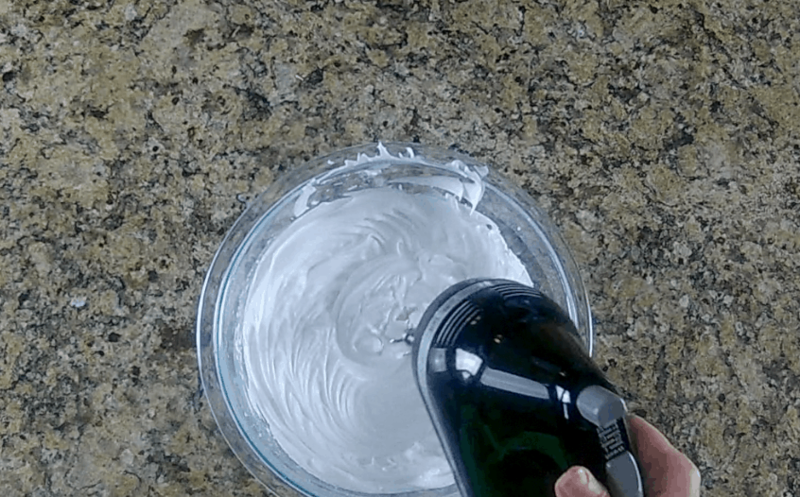 Whip up the egg whites until you have soft peaks. Add the sour cream, lemon juice, lemon zest and vanilla extract to the egg yolks and mix. Then add in the swerve and continue mixing. Add in the egg whites and quickly mix just to combine. Combine the dry and wet ingredients, mixing by hand. 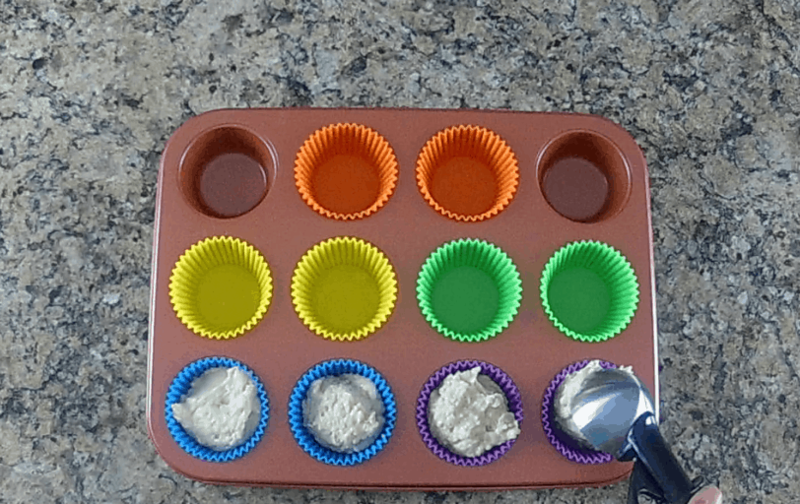 Scoop into a silicone muffin pan, silicone cupcake liners or paper liners. Bake for 15 minutes. 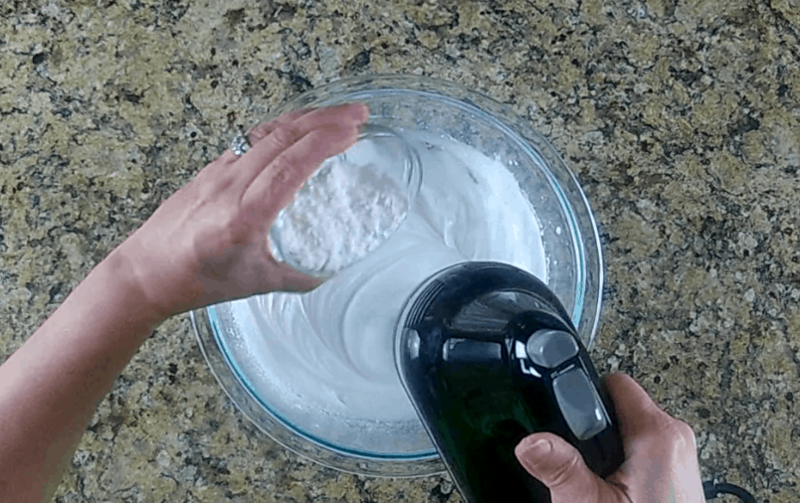 While the cupcakes are baking, add the egg whites and cream of tartar a large mixing bowl (or stand mixer) and whip to soft peaks. Then slowly add the swerve while mixing to stiff peaks. Transfer the mix to a piping bag fitted with the tip of your choice. If you don’t have piping tips, you can add to a food storage baggie, cut a hole at the tip and pipe on that way. Add the lemon curd filling into a piping bag fitted with a large round rip. 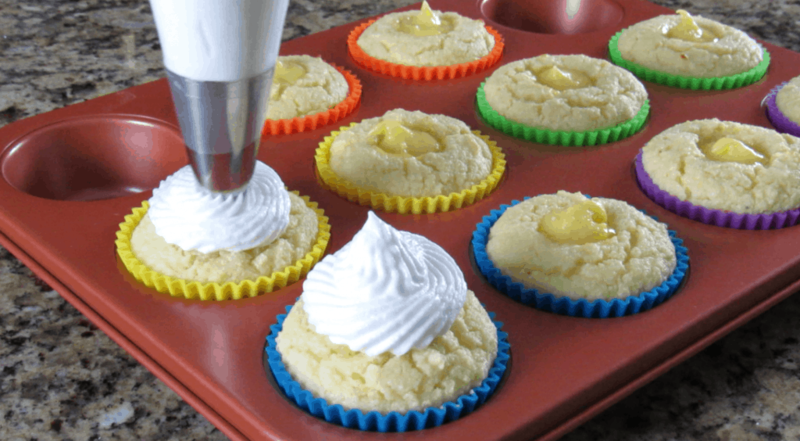 Gently push the tip into the center of the cupcake and squeeze a little of the filling into it. 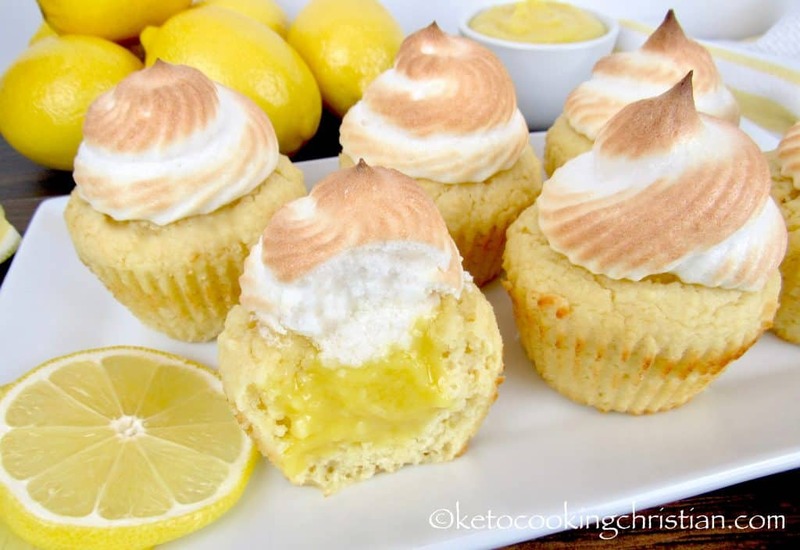 Pipe the meringue over the top of the cupcakes, as if you were frosting them. Place them back into the oven on the upper 2/3 rack and bake for 3-4 minutes or until the meringue is toasted. Do not over-bake!! 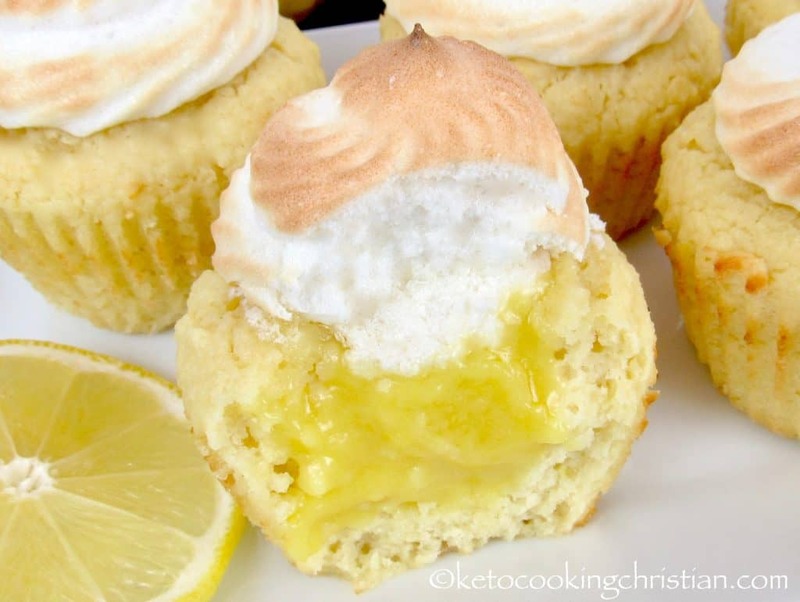 If they bake too long, the tops will be more like meringue cookies, and not as gooey inside. You want them just barely toasted on the outside. 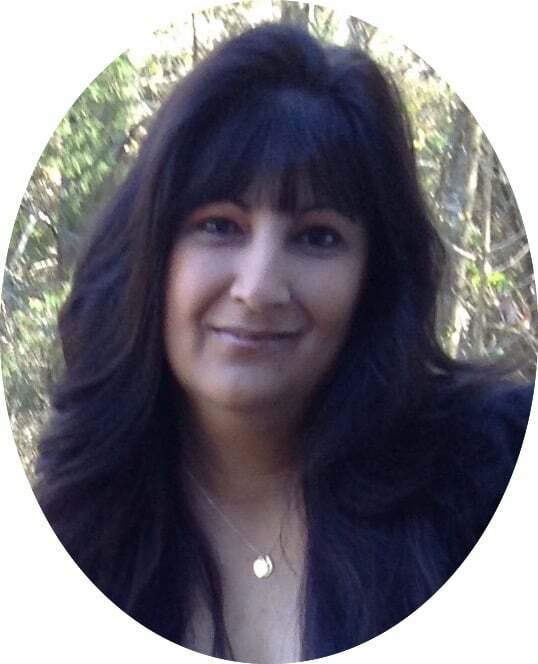 This is the texture that you want! Preheat oven to 350F. 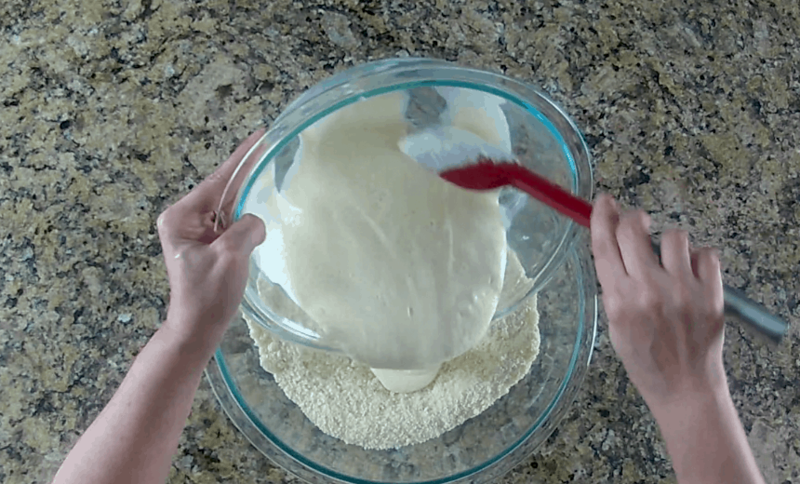 Add the flour, baking powder, oat fiber and salt to a bowl and whisk together, then set aside. 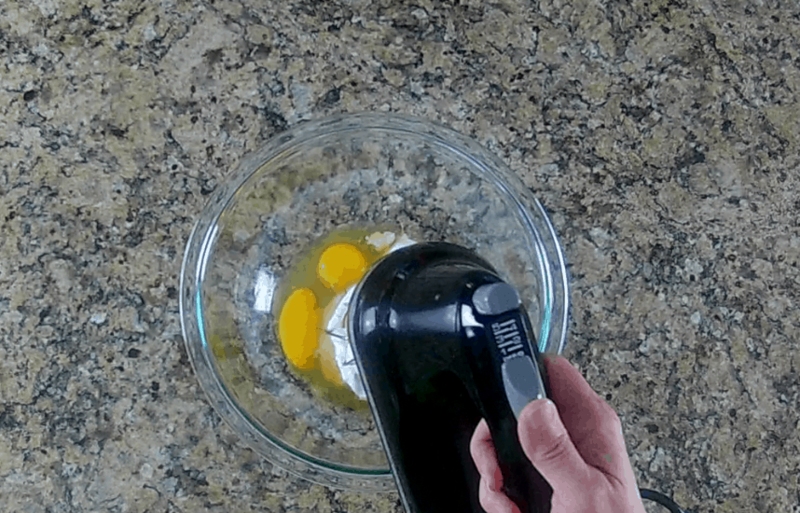 Separate the eggs, and set yolks aside. 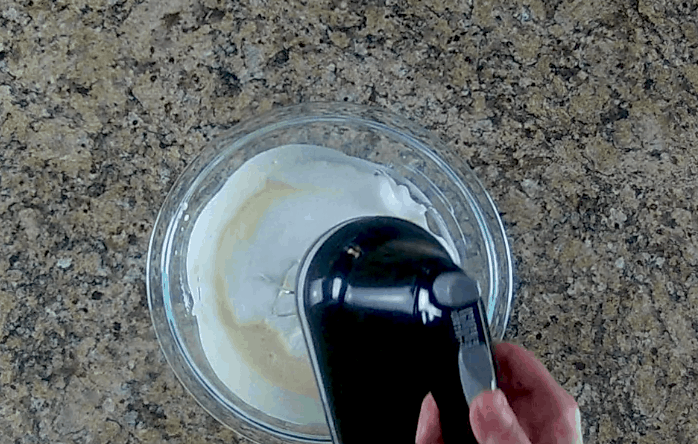 Whip up the egg whites until you have soft peaks. Add the sour cream, lemon juice, lemon zest and vanilla extract to the egg yolks and mix. Add in the swerve and continue mixing. Then add in the egg whites and quickly mix just to combine. Add the dry ingredients into the wet and mix by hand. While the cupcakes are baking, add the egg whites and cream of tartar a large mixing bowl (or stand mixer) and whip to soft peaks. Then slowly add the swerve while mixing to stiff peaks. Transfer the mix to a piping bag fitted with the tip of your choice. If you don't have piping tips, you can add to a food storage baggie, cut a hole at the tip and pipe on that way. Increase oven temperature to 400F. Add the lemon curd filling into a piping bag fitted with a large round rip. 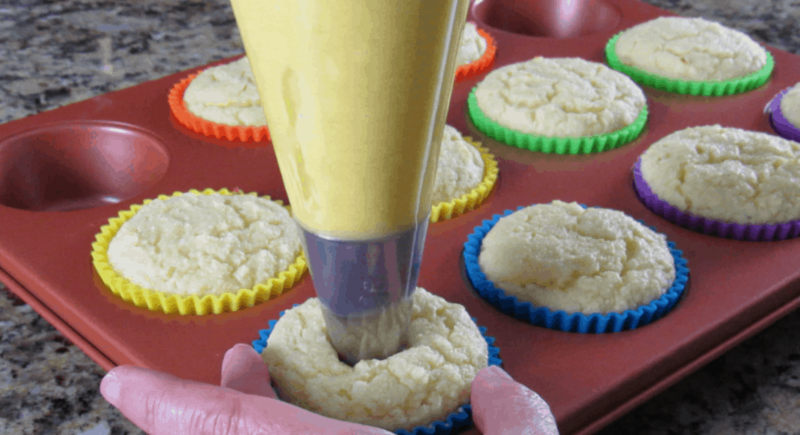 Gently push the tip into the center of the cupcake and squeeze a little of the filling into it. 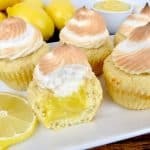 Pipe the meringue over the top of the cupcakes, as if you were frosting them. Place them back into the oven on the upper 2/3 rack and bake for 3-4 minutes or until the meringue is toasted. Do not over-bake!! 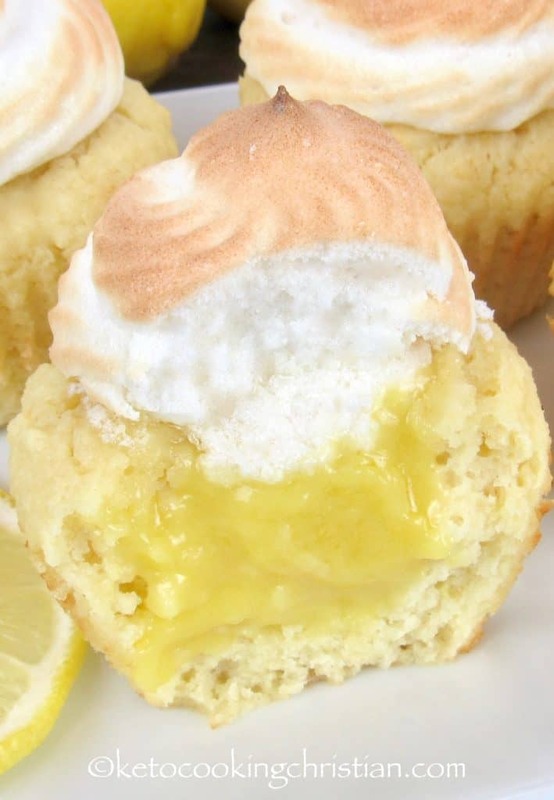 If they bake too long, the tops will be more like meringue cookies, and not a little gooey inside. You want them just barely toasted on the outside. These look so yummy! I was a little confused about the whites and yolks for the cupcakes. But I think what the reason is step 3 under the cupcakes. It says to add in the “whites,” but I think this is where you would add in the yolks. Is that right? I’ve actually not tried freezing them yet, so I can’t say for sure. 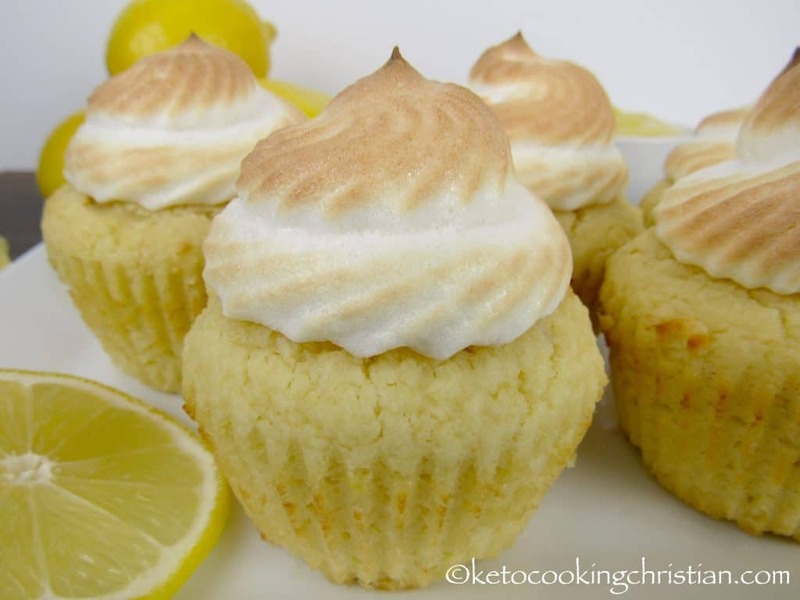 If you would like to try, I would only prepare the cupcakes with the filling and once they are thawed and ready to serve, then put the meringue topping and bake as directed. I hope that helps! 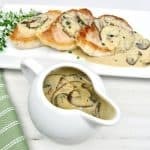 Hi, could i make these with Coconut Flour? My stomach doesn’t like Almond flour. Thanks! 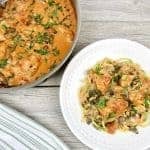 I honestly couldn’t say for sure, since I’ve never tried using coconut flour in this recipe. 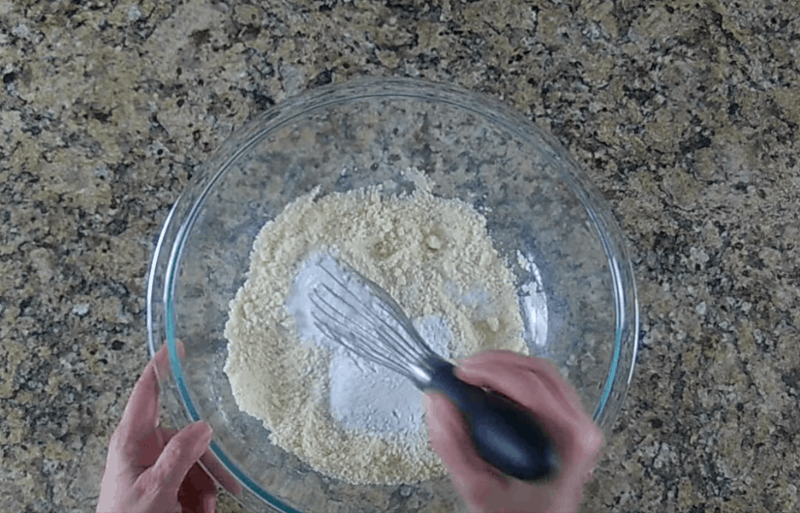 I know it’s much more absorbent than almond flour, so if you tried using it, you would have to add more egg and liquids to the mix. 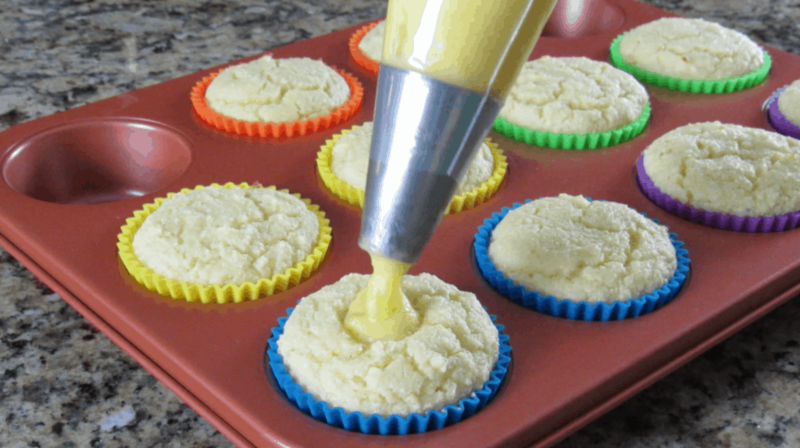 do you have to grease silicone muffin pans? Do these need to be refrigerated if you aren’t serving til the next day? Typically no, but I like to just in case. I would store them in the fridge until you are ready to serve. 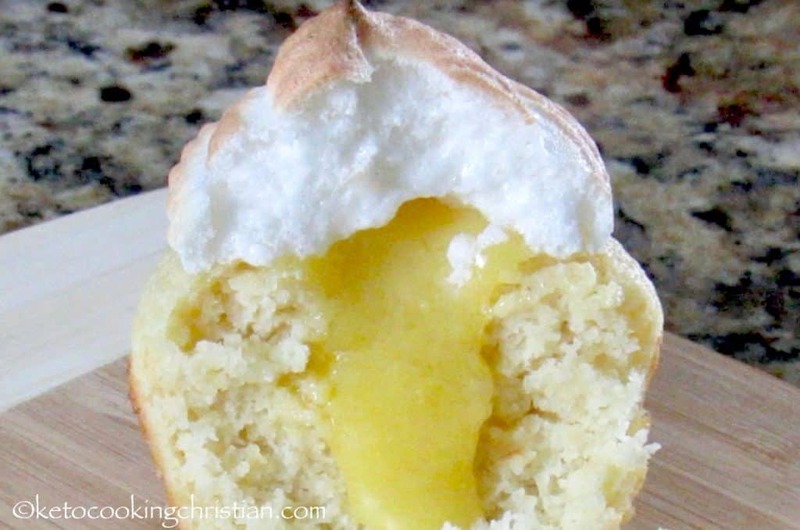 I might even wait to make the meringue, until the day you serve them.